Aurora Unveils new Web Site and Shipping of SKR-22T Ceiling Tile Speaker - Aurora Multimedia Corp.
Aurora Multimedia announces the all new SKR-22T Ceiling Tile Speaker is currently in-stock and shipping . 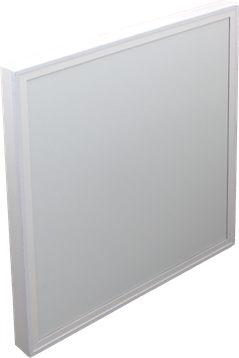 The new speaker fits in a standard 2’x2′ Drop Ceiling Tile format and is only 2.2″ thick. The ultra light weight speaker is a 25W RMS at 4ohm and comes in a 70v/100v version as well ( SKR-22T-XFR ). Both models also fit in a 60cm X 60cm opening for international standards. This unit mates with Aurora’s DXE-CAT-RX3-A and DXE-CAT-RX3C-A HDBaseT Amplified Receivers making it a perfect addition to the One Room – One Cable TM product platform. See this and much more at InfoComm Booth C5430. 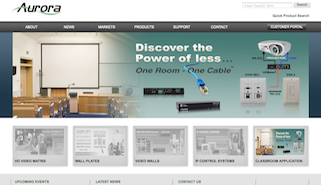 Aurora Multimedia releases the all-new web site with refreshed look and feel with a strong focus on customer service and support. The new site features the all-new customer portal allowing customers to be auto-notified for firmware/software updates, manual edits and also features a Live Chat support area for immediate assistance.